This workout was performed by Bekele 10 days before he won the 10,000m title at the 2007 World Championships in Osaka, Japan. At the time it was his 4th straight global 10,000m crown, counting the 2004 Olympics. He would end up winning 6 straight, 4 World Champs titles and 2 Olympic gold, during his career on the track. The speed of running and shortness of recovery between reps are times few could achieve on their best day, let alone as a final tune-up before a major championship. If anything, it makes you truly appreciate how special of an athlete the 5,000m and 10,000m world record holder was during his prime. Often forgotten is he won 11 straight global gold medals in cross country from 2002 - 2008. Eleven. Straight. Remarkable. 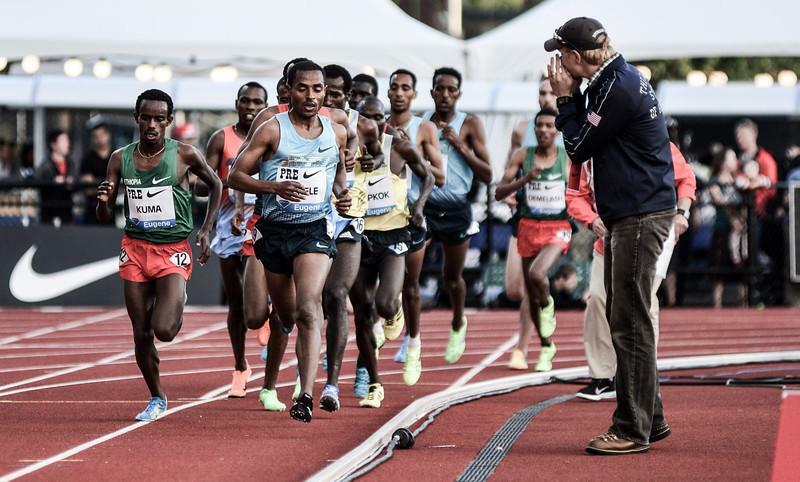 We often laurel Bekele as a king of the track, but in reality, he was the emperor of the grass. And it may or may not be a coincidence that he set the 5,000m (2004) and 10,000m (2005) world records when he was in the midst of his campaign of global cross country dominance.